Representative Honours: Ireland: 8 Full Caps / 5 Goals (1903-1909), 2 Amateur Caps (1907-1908); Irish League: 2 Caps (1904-1909). Club Honours: (with Bohemians) Irish Cup Winner 1907/08; Runner-Up 1902/03, 1908/09; Leinster League Champion; Leinster Senior Cup Winner. Harold Sloan was perhaps the most outstanding player in the "gentleman" Bohemians team at the beginning of the twentieth century and his name is inextricably linked with the Bohs home ground, Dalymount Park. On 7 September 1901 he scored the first ever goal at Dalymount Park, the long-time “home” of football in Dublin, in a 4-2 win over Shelbourne. On 14 March 1903 he again graced another Dalymount first, as the Irish Cup Final was held outside Belfast for the first time – unfortunately he finished on the losing side as Distillery beat Bohs 3-1. A year on, when Dalyer hosted its first international match, Sloan was again involved as Ireland gained a highly credible draw with Scotland. In his international career, spanning eight caps and five goals over six years, Sloan featured at inside-left, outside-right, centre-forward and left-half. Undoubtedly he reached his pinnacle with a hattrick in a 4-4 draw with Wales at Cardiff Arms Park in 1906. His two other international goals also came against Wales, in a 3-2 defeat in 1907 and in a 1-0 win in 1908. 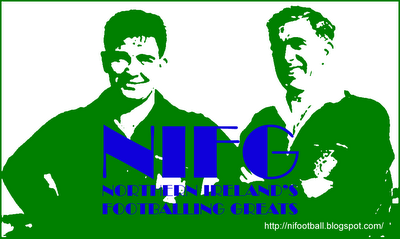 A century on, his total of eight caps has never been bettered by another Bohemians player, and only matched by Eamonn Gregg. 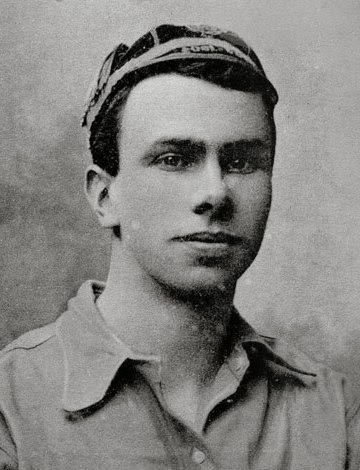 Other highlights in Sloan’s playing career included two appearances for the Irish League, in 2-0 and 2-1 defeats by the Football League and Scottish League respectively, and a goal in the 1-1 1908 Irish Cup Final draw with Shelbourne, with Bohemians winning the replay 3-1. Sloan’s final appearance on the big stage came in the 1909 Irish Cup Final, where Bohs lost out in a replay at Dalymount to Cliftonville. Sloan served in the First World War as a Second Lieutenant in the Royal Garrison Artillery. He was killed in action in January 1917, leaving behind his widow, Mabel. He is buried at the Guard’s Cemetery in Combles, France. Summary: 8/5. Won 1, Drew 3, Lost 4.